Flip a coin. If heads, opponent is pushed back by a Fire Shockwave from the Heart. 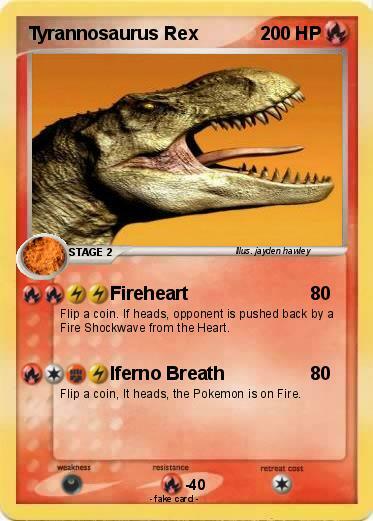 Flip a coin, It heads, the Pokemon is on Fire.